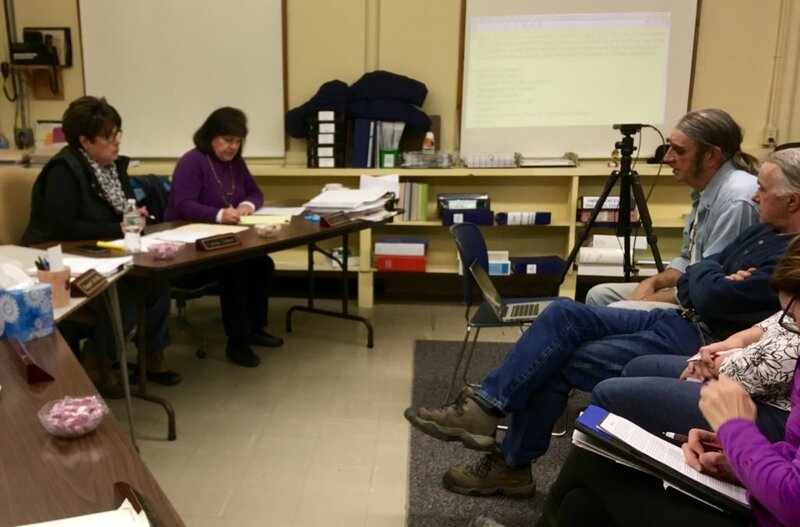 PERU — The Peru Board of Selectmen and the Friends of Peru Elementary School held a workshop Wednesday to negotiate a management contract for FPES to manage the old Peru Elementary School as a community center. In November, Peru voted to move $170,000 out of the town’s surplus fund in order to bring the building up to code, allowing it to be used for business, gatherings and other purposes. The article also states FPES is to manage the building under a multi-year contract. FPES proposed entering into a three-year contract, a period of time that would make the building more likely to receive grant funding, according to FPES President Nick Waugh. The timeline would also elminate the need for annual negotiations between the board and FPES. Because of this, Selectwoman Lynda Hebert suggested having the contract automatically renew after the expiration date unless there is a 45-day notice from either party. FPES said any money coming in went back into the building. An inspection by the Maine State Fire Marshal’s Office found safety code violations within the building, which meant an end to theater shows and a thrift shop at the former school. Servant’s Heart Food Pantry, Rumford Seniors and a Girl Scout unit are among organizations still operating at the building. Before the inspection, the community center was almost self-sufficient, according to Norman DeRoche, vice president of FPES. “I think the community would be much more behind it if there was some sort of money going back into surplus,” Taylor said. The next step in the contract negotiations between the board and FPES will be an executive meeting.